The actor gets candid aboutA� six packs and doing a commercialA� feature like Happy Bhaag Jayegi. 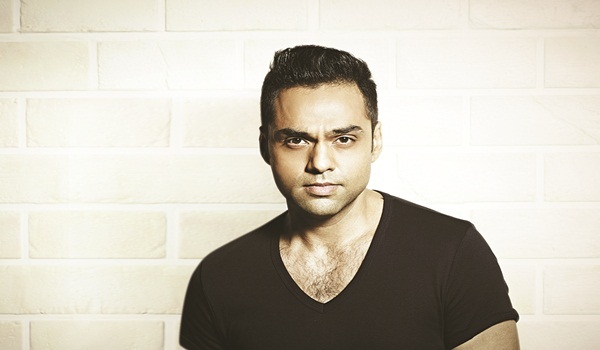 Back on the big screen after two years, Abhay Deol is excited about his forthcoming release. Happy Bhaag Jayegi is a romantic comedy that follows Happy (played by Diana Penty), a bride who runs away from her wedding, crosses borders and gets into a whole lot of trouble along the way. The Mumbai-based actor plays Bilal Ahmed, a submissive, foreign-educated Pakistani who doesna��t relate to his people or surroundings. We catch up with him in the midst of the filma��s Mumbai promotions. a�?The characters were written so well by Mudassar (Aziz), the director, that I just had to live out what he had already sketched,a�? the 40-year-old says. The movie also marks Deola��s second collaboration with producer Anand L Rai, having worked with him earlier in Raanjhanaa. Though pundits have touted this film to be his comeback, the star is unfazed. a�?Therea��s Anand L Rai and Eros. So I am nervous, yes, but secure that nothing is riding on me, which is the case otherwise,a�? says the Shanghai actor. But Deol admits that all films finally boil down to commerce. Talking about the concept of commercial and non-commercial cinema, he says, a�?I think even an offbeat film strives to be commercial; every film needs commerce.a�? And for someone who rose to fame with unconventional movie choices like Dev D and Ek Chalis Ki Last Local, a commercial film does fuel some fears. a�?People might start thinking that Ia��ve stopped trying to take chances. I havena��t. Ita��s just that ita��s very difficult to be doing that, despite success,a�? says the actor, adding that India isna��t opening itself up to different cinema as much as it should. a�?For any parallel movement to survive, it needs to be a movement. And by movement I mean groups of people who support each other. If real change was happening, we wouldna��t be seeing all actors and actresses trying to out-dance and out-six-pack each other,a�? he admits. Tightlipped about his future projects, Deol shares, a�?I have read a script that has the superficial trappings of a commercial film, but with the kind of edge you saw in Dev D. Ia��m hoping someone finances it.a�? He also plans on returning to producing films soon. Happy Bhaag Jayegi is set to release on August 19.